You’re not the only one. Lots of people find it hard to come up with a present for their dad, so there’s no shame in coming to us for some ideas. Your dad is probably sick of the sight of socks and slippers. So how about going against the grain this year? You can do better than a pair of socks, and your dad certainly deserves better. Whilst with mum, you can always count on classic gifts like a bouquet of flowers and a box of chocolates, these don’t quite have the same effect on dads. At our shopping village, we have plenty of ideas for you to light up your dad’s day. Here are some of the best picks for Father’s Day. Time seems to pass most of us by, so it’s important to capture the special moments. 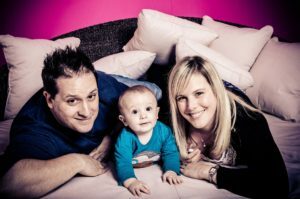 Events like Father’s Day can inspire families to get some new photos taken, and at our shopping village we have beautiful grounds and an expert photographer in Lightdraw Photography to take them. Ah, the garden. A place of retreat for dads up and down the country. Something that’s guaranteed to make him happy is a gift that’ll keep him busy in the garden. At Abraxas Garden Room, you’ll find a whole host of accessories and furniture for your dad to put in his garden. Over at The Artisan Gardeners, there are a variety of beautiful perennials to take home and plant -we particularly love the hanging baskets. Perhaps you could even help out with the planting and do some bonding in the garden over the weekend? At Abraxas Country Clothing, you can dress up your dad in the latest country clothing fashion. With stockists including Joules, Barbour, Toggi and Aigle there’s something to suit every style. The store’s footwear selection is ideal and we think that a new pair of shoes is a great choice of present. A classic gift for Father’s Day, but if you haven’t already used this one up, now is the time! 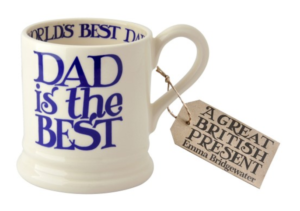 Every dad needs a mug and Abraxas Cookshop has a selection of high-quality Emma Bridgewater mugs available. We like the starry design and the ‘dad is the best’ mugs. If your dad is house proud and has an eye for interior design, you can pick out some new home accessories for him at Texture Interiors to keep the house looking modern. Items range from something small like lanterns, vases and picture frames to larger items such as mirrors and clocks. They say that beer is the best way to a man’s heart, and at Food for Thought there is a selection of craft beers from local breweries! While you’re in there, you could also pick up some of his favourite relishes and condiments. You could even create a bespoke hamper – filled with all of your dad’s favourite food and drink. If your dad has more of a sweet tooth, a visit to Darcy’s Delights is a must. 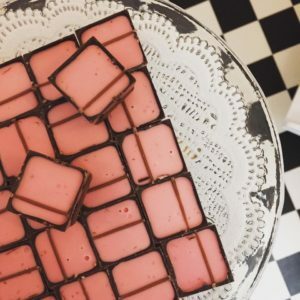 This traditional sweet shop has old fashioned confectionary from years gone by as well as exquisite Belgian chocolates. Your dad’s favourites are sure to be in store so pop in to give him a nostalgic trip down memory lane. Once you’ve got your present sorted, head over to Beehive Gifts to get your card and wrapping paper. You might also find a few little bits to go alongside your main pressie. Whatever your dad likes, there’s something for every dad at Heart of the Shires. And because we’re proud to be home to independents, you’ll find unique presents that won’t be found on the high street. Pop into our Northamptonshire shopping village today to find your perfect present for Father’s Day.